Familiar favorites and classics that will enchant the whole family. The Bed Time Story Book is a wonderfully original collection of 36 stories that will entertain the entire family. You can look forward to bedtime and share the joy of reading. 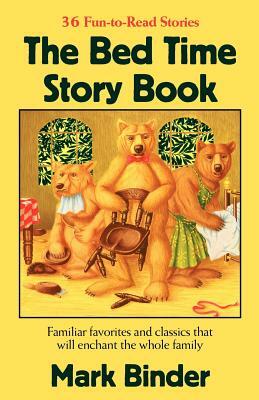 "Accompanied by classic illustrations, the stories are retold in an exceptionally amusing style and perfect for reading aloud." Turn your evening goodnight into quality family time with traditional stories, familiar rhymes, and favorite interpretations. Includes tips and tricks and fun ideas that will help you get started and keep you (and your young listeners) engaged The Bedtime Story Book will inspire the youngest readers.